She had been working in a marketing agency for a number of years and was starting to become disengaged with what she was doing. She has had tremendous success in her years at the agency, but found the client management side of the work a little draining as she found herself doing that more and more versus working on the marketing campaigns themselves. Something she was really passionate about! Throughout our conversation she soon realised that her passion is obviously in the strategy and implementation of the marketing campaigns over the project management of the campaigns stakeholders. So she should really be looking at a strategic role at the agency or moving to the client side where she has more control and creative direction of the marketing campaigns. That night when I got home, I started thinking about the process of creating a dream career and what one needs to put in place to make it happen. Over the course of the next few days I then interviewed 4 Entrepreneurs who specialise in helping people plan, create and build their careers. Together we have listed 4 critical steps one needs to take starting from today in order to build a successful career. Before all else it's vitally important you get clear on what you are passionate about or in other words unlocking that passion. There's no point spending time planning out a dream career in an industry or occupation that you are just not passionate about. I wrote a book on this exact subject called 'Unlock the Passion Within You. What would I do everyday and still love even if I wasn't getting paid? What can I talk about for hours passionately? What are some things that annoy me in my industry that I want to change? And how I can change them? Once you have asked yourself these questions that will give you a clearer indication on what your passion is or at least you will start seeing a trend/pattern. Then when you know that, I recommend following the steps and completing the exercise one of my previous articles here on Huffington Post called 'The Inclination Point' and write 45 reasons why it's a must for you to be successful in this career path. This is a great test and if you can do this in a breeze, you are truly passionate about that career direction. Next you need to work on a compelling profile, to land the job you want you need to brand yourself effectively. We are all in the business of marketing even if you are an employee or Entrepreneur. This involves creating an amazing resume and a stand out LinkedIn profile. When you do start applying for your dream job, you need to make a lasting impression on the people who are reviewing your application. To help with this I asked Lisa Mahar who is the founder of Meritude, specialising in writing high converting resumes and LinkedIn profiles. "Focus on creating a resume and LinkedIn profile that is tailored to the job want rather than being generic. Do this by researching the position on local job boards such as Indeed or a labour market site like Job Outlook. Note down the employer requirements listed in job ads and key skills from Job Outlook. Once you do land your perfect job the fun doesn't stop there, you need to keep progressing within your chosen field and a great way to do that is to get a coach. Someone who knows the ins and outs and can keep you accountable towards achieving your career goals. Your coach can help you adjust to the culture, provide real-world knowledge to bridge the gap between educational theory and actual business practices and help you hone in your leadership skills. "Once you've unlocked your passion, it's important not to lose momentum. Look for a career coach you actually connect with, one that will not just support you but identify the things that might be holding you back, guide you in terms of the skills you need to progress, and give you encouragement and advice that will push you to the next level. The final step to really building a successful career is writing your own book. Being a published author will do more for my career and income than you could ever imagine. Being an author provides an opportunity to establish your authority. People work for years to land an important job or get a graduate degree. Both of these can be important steps in your career path, but neither provide the level of credibility that comes with having a book with your name on it. In the corporate world/culture, this is still regarded as the ultimate proof of your mastery. Jaqui Lane founder of The Book Adviser has helped hundreds of professionals and entrepreneurs grow their brand through publishing their very own book. I asked Jaqui the question, how can a book really impact your career within your chosen industry? "A well-written and produced business book allows career driven employees to share and showcase their knowledge, insights and experience and, above all, what makes them different. In a world where there is more noise and competition than ever before, writing your own book help set you apart from others in your industry. So there you have it, the 4 steps to creating your dream career. Unlock your passion, get your communications right and finally get a coach to keep you accountable towards achieving your goals. 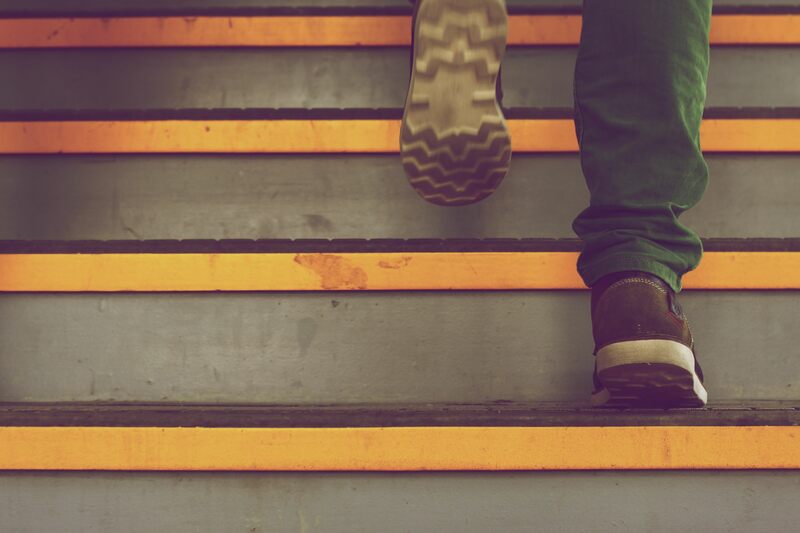 Hope these 4 steps will help you take your career progression to the next level.